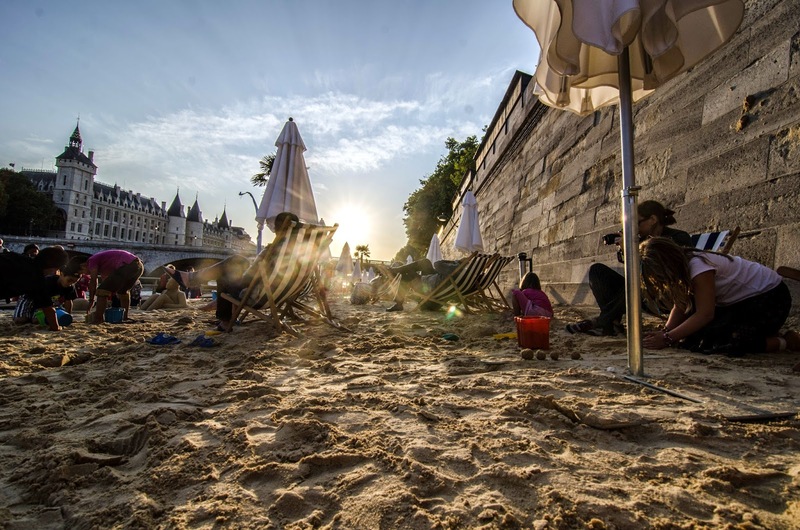 ParisDailyPhoto: Sunset over Paris Plage. Ah, yes, the fake beaches. Capturing it like this makes for a dramatic image. Beautiful photo specially after a rainy day. After the rain, the sun.... A good idea. It's easier to make sand castles when the sand is damp. It's always nice to see the families who can't afford to go on vacation enjoy these "fake beaches". You've really captured something special here, Eric! I can practically feel the sand beneath my feet and smell the sunscreen. Boy, summer went pretty quickly this year! I'm not complaining, however - I can't wait for fall! Great shot! Even in wet sand, I would have walked barefoot. Did you—or is that dangerous? Lovely... I can't wait to get my feet in some sand again this week. (Finally having summer here!) Love the sunset!